Running through the Storms: Would A Worm Go On A Walk Book Review? A comical picture book about the unique qualities of various creatures and how they were planned to be just that way by a loving, wise Creator. So begins this humorous and imaginative picture book that introduces children to the idea that animals are uniquely created by a loving and wise God. Would a Worm Go on a Walk?, with its colorful, comical illustrations, is a fresh, fun way to teach young children that God gave all the animals--and each of us--wonderful qualities and unique strengths. Children will giggle over the ridiculous scenarios presented, and they will come away with the knowledge that we all are loved and special. Ages 4 to 7. 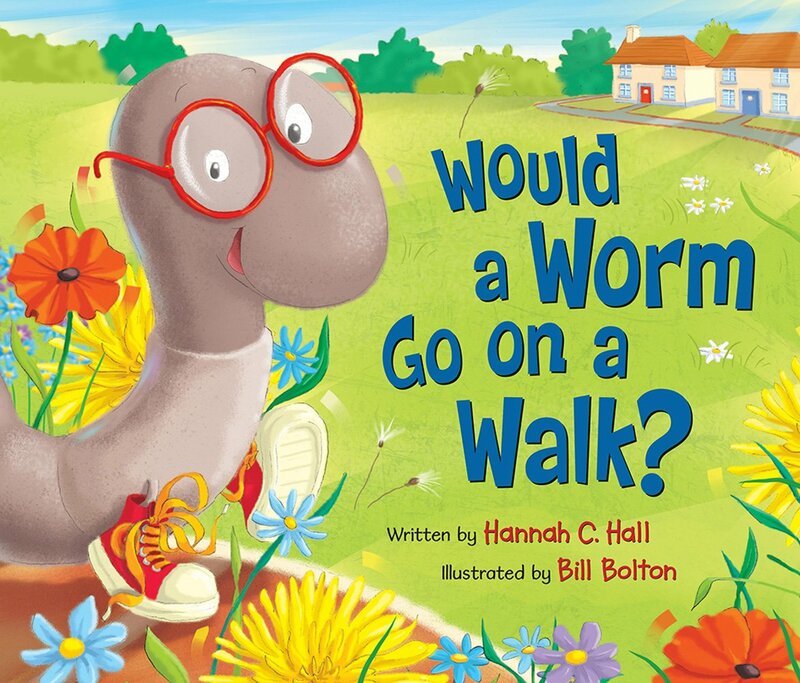 My Thoughts: In this beautifully illustrated tale of "Would A Worm Go On A Walk?" children of all ages meet various creatures such as turtles, penguins, possums, Rhinos, Lions, Ladybugs Piglets and much more. The story us about how each animal is created by God and their unique, wonderful qualities that make them special animals. This book is humorous, creative and beautifully illustrated. As an adult, I found it to capture my attention, put a smile on my face, and I could not wait to meet the next animal. It is a well thought on book and children of all ages will love this book. I highly recommend this book. Thank you to the publishers for allowing me to receive a complimentary copy in exchange for my honest review. Happy Birthday celebration! The looks so cute. I already love the illustrations!